Super Bowl Sunday is upon us, and that means cheesy dips, fried appetizers and a lot of cheering at the TV. I always rely on the simple practice of bringing a few healthy dishes to the party I know I can enjoy after I indulge in a few bites of the less nutritious options. 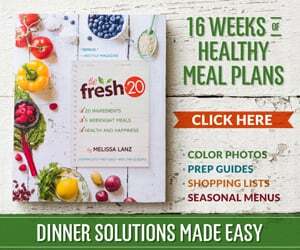 There are a LOT of easy entertaining recipes floating around, but the elusive intersection between healthy, delicious and easy can be hard to track down. That’s why I’ve always enjoyed putting The Fresh 20 spin on my favorite dishes, with the goal of developing versions that hit those three targets on the head. 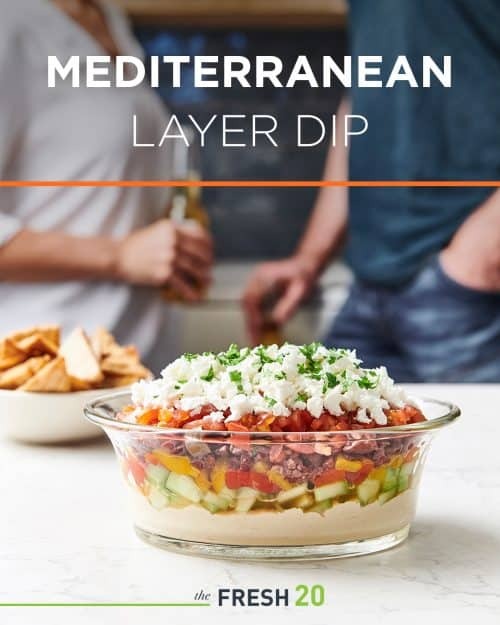 This Mediterranean Layer Dip wins! 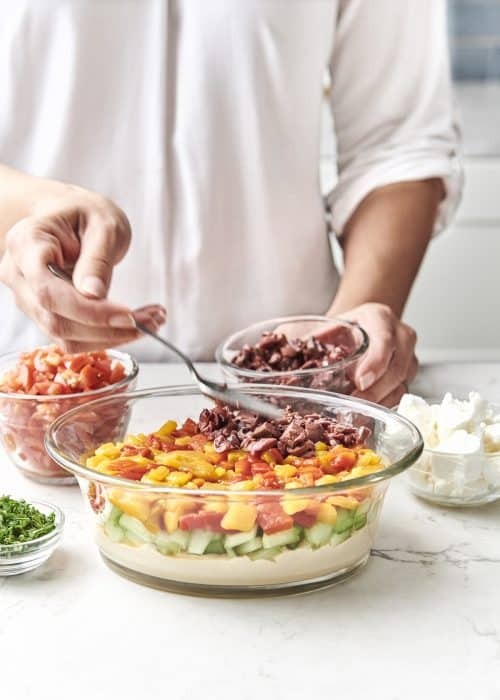 This fresh take on the traditional 7 layer dip is everything. Literally. Creamy, crunchy, tangy, sweet, refreshing and satisfying. It presents beautifully as a potluck dish and comes together in 5-1o minutes, with just 6 ingredients. It doesn’t get any easier. I’ll be serving this for the big Super Bowl game alongside my famous Super Bowl Sunday Nachos and InstantPot Buffalo Wings. Perfect lightened up pot-luck entertaining dish to share with family and friends. 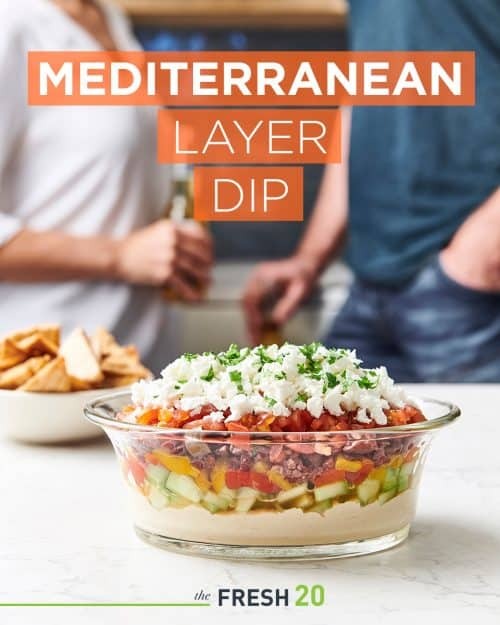 In a 2 quart glass bowl or serving dish, spread the hummus on the bottom. Layer the cucumbers, followed by the red peppers, then the olives. If using feta, sprinkle over tomatoes. Top with freshly chopped parsley. Serve with an assortment of veggies and/or gluten free chips or crackers.